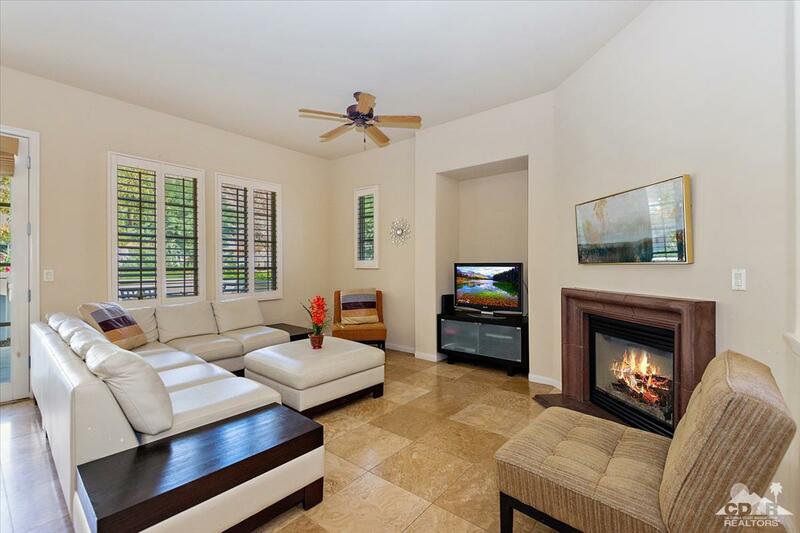 Luxury, highly desirable, single level townhome set amid the stunning backdrop of the Santa Rosa Mountains! Spectacular mountain views and privacy! Ideally located just steps to heated pool and spa, the desirable open concept floor plan offers 3 BR, 3 BA of quality craftsmanship and upscale finishes... Great room and Master suite open through french doors to lovely walled and gated patio. 24 hour, guard-gated resort residential community inspired by California's rich Spanish Colonial history. Located in the heart of La Quinta and a short stroll to the beloved La Quinta Resort & Club's entertainment, shops, Spa, and restaurants. 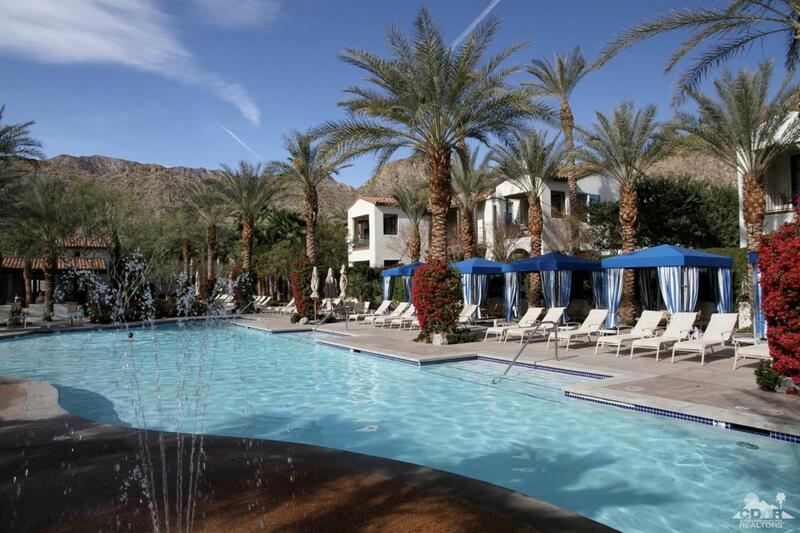 Onsite amenities include 12 salt-water pools (11 spas), a fitness center, Clubhouse, and Grill. Ideal desert residence or vacation home with incredible rental income potential. 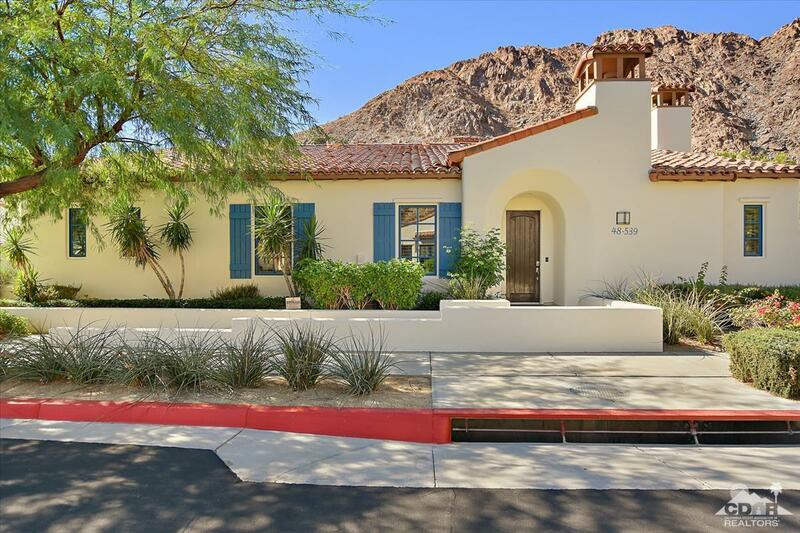 Close to golf, tennis, biking, hiking, shopping, dining and all that the desert has to offer. This unit has an excellent rental history. Cross Street Address Coachella Dr & Eisenhower Dr.